We prepare a full, varied, tasty, and nutritious breakfast with eggs, meat, bread, and fruit. All food is freshly cooked or prepared. 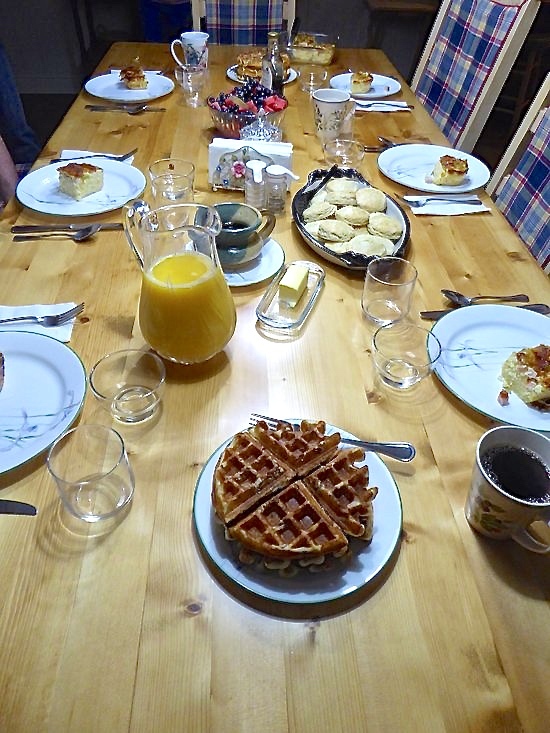 We join guests and eat country-style, unless you let us know you would like a private breakfast. We accommodate any special dietary needs–just let us know. Our desire is that you will enjoy both the food and the conversation at breakfast.